Besides the XL men’s plaid flannel shirt, the item most likely to be overstocked in every secondhand store I’ve ever been in is the crocheted blanket. 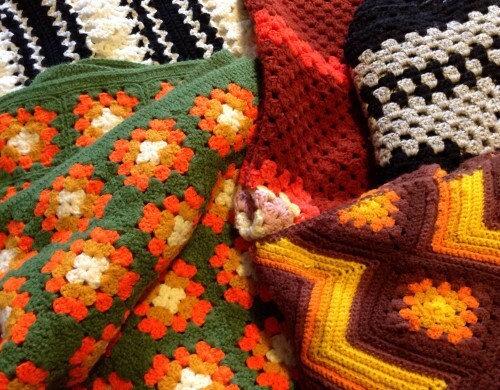 For somewhere between $1.99 and $6.99 you can find a dizzying array of lap blankets, throws and even twin sized blankets in palettes which I can only assume were dreamed up by cartoon characters passing as perfectly ordinary grandmothers. At least those are my favorites. Never satisfied leaving well enough alone, I decided to add pom poms. All over. I never have warmed to the “less is more” way of thinking. Don’t ever plan to. 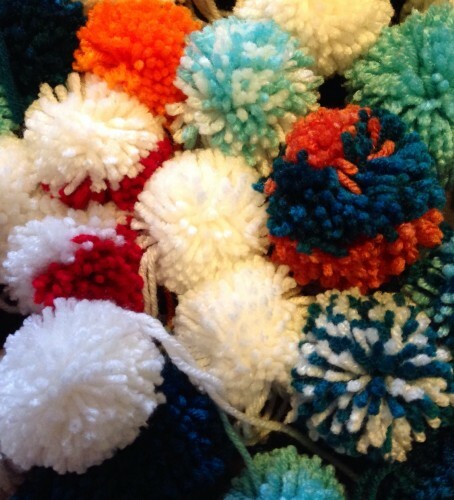 To make this many pom poms and have them all be consistent it is very helpful to have a tool, and my tool of choice is the Clover pom pom maker. 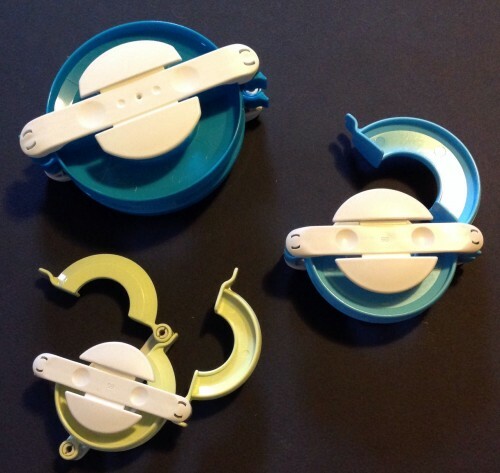 It comes in 3 sizes and you can order it from their site, Amazon, or find it at your local craft store. 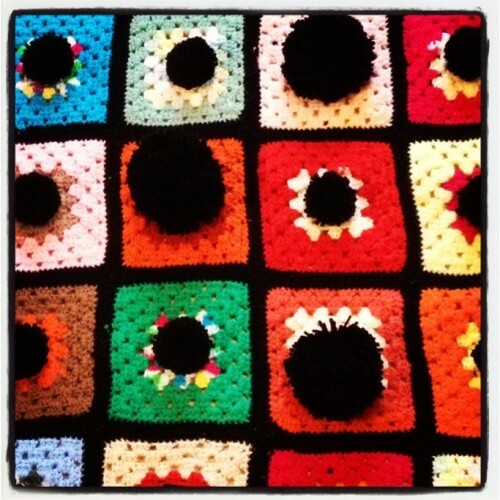 I can make one small pom pom in 5 minutes, 12 in an hour, and cover a good sized blanket in a Lilyhammer marathon. 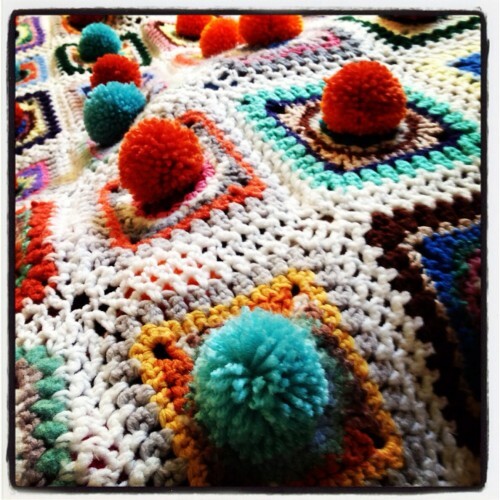 Just think, you can justify your next Netflix marathon with not only keeping art out of the landfill but also bringing a smile to the hearts of obsessive crocheters everywhere. Olek excepted. 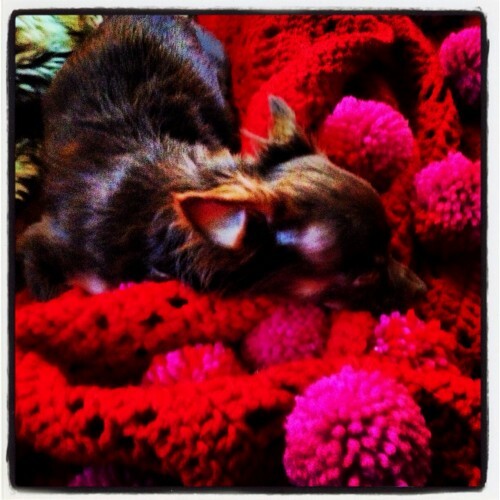 * Pom Pow blankets are Lula approved. Next PostWhat Would Lula Do?